EU ambassadors have given their support to the provisional agreement reached between the Estonian presidency and the European Parliament last December on new waste rules. Four legislative proposals are included in the EU’s waste package, which looks at landfilling targets, waste recycling targets, packaging recycling targets and goals for all extended producer responsibility schemes. The proposals were originally tabled by the European Commission in December 2015 and make up the legislative core of the EU’s circular economy package. EU ambassadors have backed the Parliament’s proposals for member states to recycle 60% of their municipal waste by 2030 and 70% of all their packaging by 2030. These targets are 5% short of the original waste and packaging goals set by the Commission in 2015. Under the new waste rules, all authorities will be obliged to measure recycling rates at input to the last recycling process. The agreement will also see stricter requirements for the separate collection of waste, reinforced implementation of the waste hierarchy through economic instruments and additional measures for member states to prevent waste generation. From 1 January 2025, member states will be required to separate collection for textiles and for hazardous waste from households. In addition, they have to ensure that by 31 December 2023, biowaste is either collected separately or recycled at source. Now that the rules have been formally approved, the new legislation will be submitted to the Parliament for a vote and then to the EU Council for final adoption. 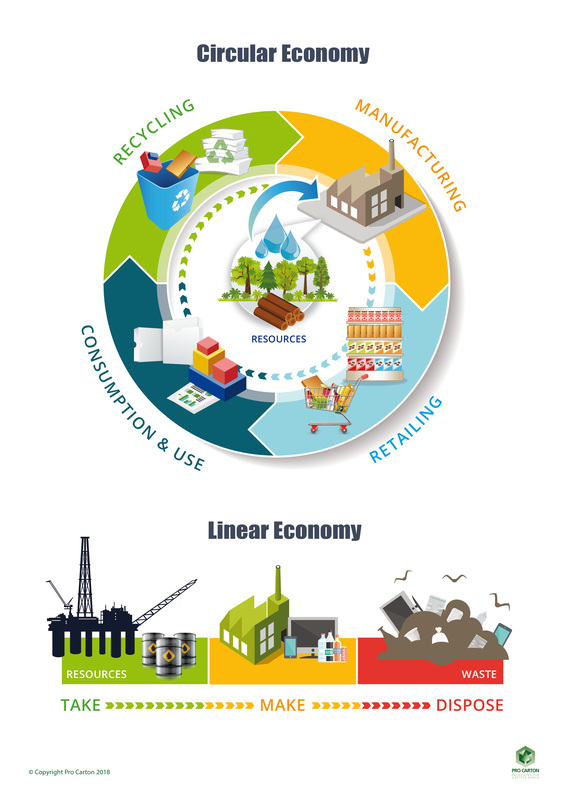 Delegates at last month’s European Commission’s circular economy stakeholder conference were told that the EU’s circular economy is moving in the right direction, but not fast enough. The Commission’s first vice-president Frans Timmermans and environment commissioner Karmenu Vella both stated how the EU executive had already delivered 80% of the actions presented in its 2015 action plan for the circular economy. However, Timmermans stressed that the European Parliament elections would soon be upon us and “we have a year left to complete this work”, so delegates at the conference were urged to speak to each other “about how to move this process forward as quickly as possible and as efficiently as possible”. The conference also examined the recently adopted EU plastics strategy, which aims to make all plastic packaging on the EU market recyclable by 2030. Luc Bas, director of the Brussels office at the International Union for the Conservation of Nature, agreed with Timmermans’ call for the EU’s circular economy ambitions to move faster and said that there is a concern over the sense of urgency with moving this agenda forward. Aloys Guitton, CSR director at France-based retailer Auchan Retail, maintained that the EU must increase its awareness campaigns to make people aware of the term circular economy. He said many of the stakeholders involved in the retail supply chain did not understand what the concept was. Separately, Timmermans warned that the circular economy process would be undermined if, after citizens are convinced to do the “extra work” of sorting waste, the new import restrictions in China could mean “everything ends up in the furnace somewhere”. He called for “urgent work” to avoid people becoming “discouraged”. Pro Carton are reworking their Environmental Data Report this year which will include an updated carbon footprint for carton packaging based on the revised ISO standards. Our independent consultants will shortly be gathering the input data from both mills and converters and we expect to publish the report later this year. These Guidelines build on the Framework for the calculation of Carbon Footprints for paper products which CITPA worked on together with CEPI last year.